Lets count and trace the numbers! Let’s take the first step towards math – counting! 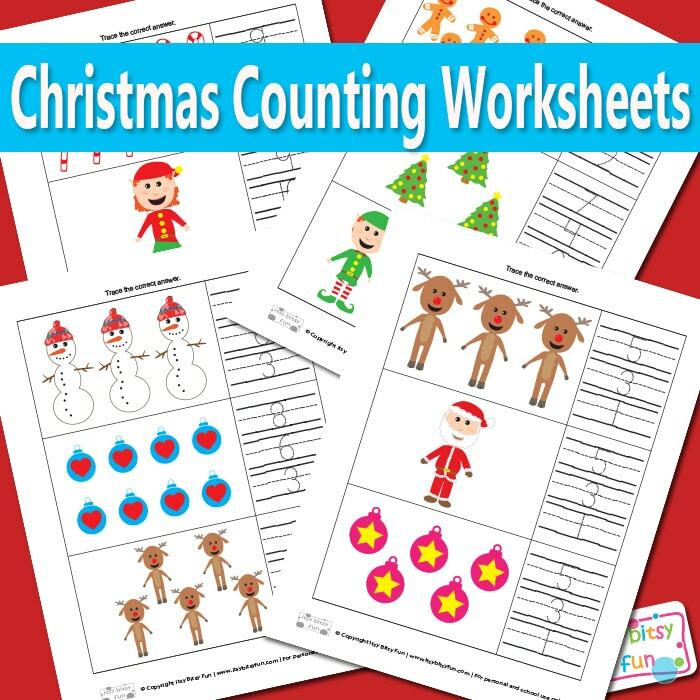 These sweet Christmas counting worksheets for kids let the kids count and then trace the correct answer so they’ll practice counting and number writing at the same time! Once they know their numbers you can also give them some Christmas color by number worksheets to do – they are a fun way to practice numbers. Many fun and festive ways to learn the numbers as you can see! This festive pack should keep kids entertained for a while! There are two rows on each page and 3 answers to choose from in each of those rows – kids have to trace the correct answer, if they don’t have the tracing skills yet just let them color the box with the correct answer. They will be counting gingerbread men, elves, Santa (one and only ;), reindeer, candy canes, Christmas decorations and trees and more! I suggest you laminate these so kids can use them over and over again and once they “outgrow” them give them to a friend or to the school. 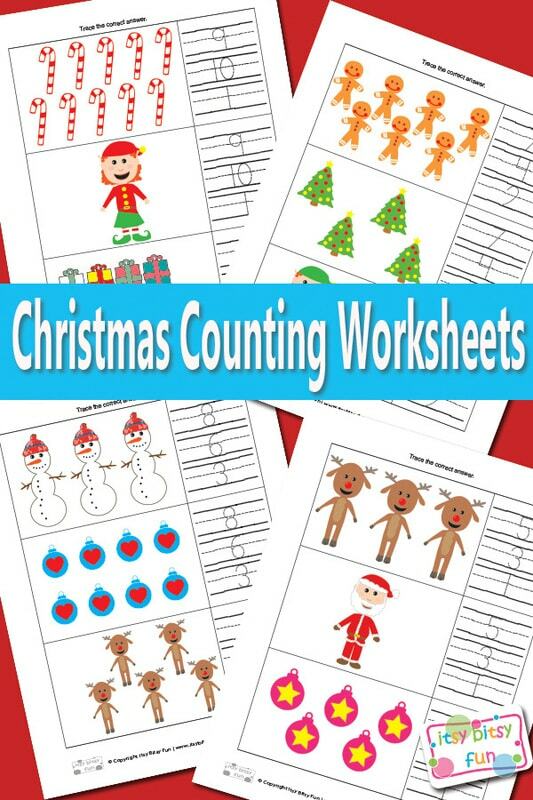 Get these free printable Christmas Counting Worksheets Math here. Need something fun to keep the kids busy? Why not give them these fun printable Christmas masks? Looking for more learning fun? You can check all of my Christmas worksheets for kids!